“With few opportunities and much competition, ... composers show creativity in just getting heard.” And in Chris Pasles’s article in the Los Angeles Times, Robert Voisey is highlighted as one of those composers. Composing electroacoustic and chamber music, his aesthetic oscillates from the Romantic to the Post Modern Mash-Up. His work has been performed in venues throughout the world including: Carnegie Hall, World Financial Center Winter Garden Atrium, and Stratford Circus in London. Voisey has been profiled and music broadcasted on HEC-TV public television in St Louis, Elektramusik in France, as well as radio stations all around the world including: Cityscape NPR St. Louis Public Radio; Arts & Answers & Art Waves on WKCR, Upbeat with Eva Radich on Radio New Zealand; and Kol Yisrael Israeli Radio. 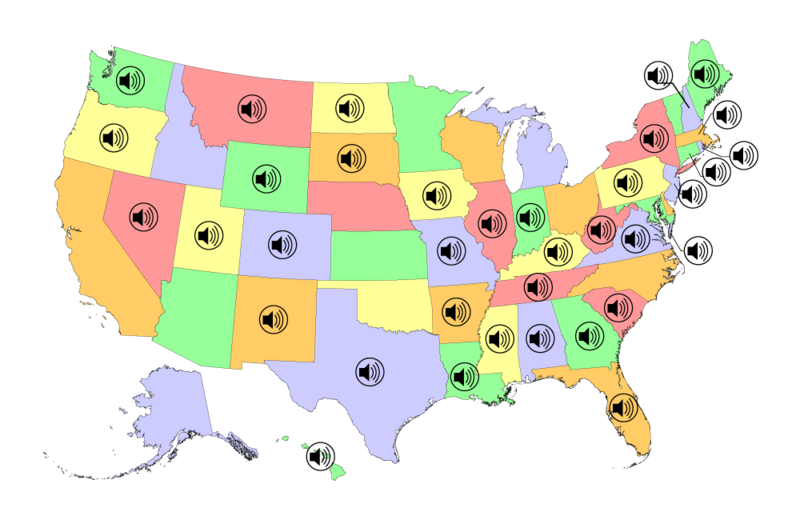 “States” is a collection of 50 second mash-ups consisting of sound collage, featuring post consumer audio; each work is named after one of the United States of America. “States” was inspired by Jon Nelson’s 50/50; a collection of 50 second mash-ups consisting of sound collage, featuring post consumer audio. “Oregon” was selected and featured on the "50/50" CD release by Recombinations/mnartists with 49 other DJ’s composers, and sound artists. “New York,” another miniature from the “States” project, is part of the 60x60 (2010) International Mix and received a European debut choreographed to dance at London.’s Stratford Circus. Robert Voisey ‘s “Constellations” are short one-minute ambient drones each titled after a constellation in the night sky. All of the works feature Voisey’s vocal talents both unaltered as well as digitally manipulated. These short pieces can be arranged together like a mobile to create special “mixes” which turn into new works unto themselves. - TRANSreveLATION in New York City. Many of these ambient miniatures making up constellation mixes have received their own performances: “Sagittarius” was included on the 60x60 project and was released on the 60x60 2006 CD and received performances and airplay around the world; “Ursa Major,” was selected for the 60x60 UnTwelve mix in 2010 with performances in Chicago, Istanbul, Kansas City and Slippery Rock, Pennsylvania. The miniatures “Orion,” “Ursa Major,” “Ursa Minor,” and “Cancer” received premiere performances in New York City on the Composer’s Voice concert series. he has also been labeled as a person whose enthusiasm is infectious like something gone viral. Fifteen Minutes of Fame debuting hundreds of chamber works written for musicians who champion new music. "The word ‘viral,’ comes to mind as a trendy but disquietingly accurate image for Robert Voisey’s infectious enthusiasm. He is always ready to mutate and reinfect the process as indicated to maintain the highest degree of project fever"
A post-modern project of Rob Voisey is his “States” project inspired by Jon Nelson’s 50/50. “States” is a collection of 50 second mash-ups consisting of sound collage, featuring post consumer audio. Voisey’s piece “Oregon” was selected and featured on the "50/50" CD release by Recombinations/mnartists 2010 with 49 other DJ’s composers, and sound artists. “New York,” another miniature from the “States” project, is part of the 60x60 (2010) International Mix and received debuts at London.’s Stratford Circus as well as in St Louis and Japan. The works “North Dakota,” “Oregon,” “Texas,” “West Virginia,” “Hawaii,” “Virginia,” “Maryland,” and “Illinois” all debuted in New York City on the Vox Novus “Club” concerts. 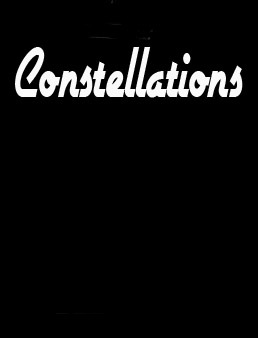 Another collage project of Robert Voisey is “Constellations.” Each Constellation Mix uses a ‘mobile’ form comprising of one minute ambient miniatures which include the live and electronic manipulation of Robert Voisey’s voice. Consistent with mobile form each constellation mix changes with each performance and is titled for the venue where it was debuted: “Constellations No Extra Note Mix” was created for the No Extra Notes podcast by Richard Zarou; “Constellations USB MIX” premiered in Stony Brook University on Long Island, New York in 2009; “Constellations Composer’s Voice Mix” premiered on Composer’s Voice concert series In New York City; “Constellations Das Punk & Krooner Mix” was created for the Das Punk & Krooner podcast; “Constellations EMMMIX” was premiered at the Electronic Music Midwest festival Kansas City, Kansas in 2007; and the “Constellations TRANSreveLATION Mix” premiered at the TRANSreveLATION concert in New York City. 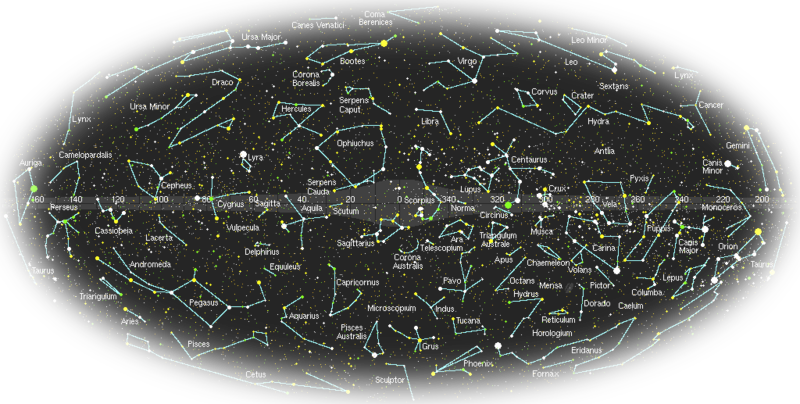 Many of the ambient miniatures making up constellations have received their own performances: “Sagittarius” was included on the 60x60 project and was released on the 60x60 2006 CD and received performances and airplay around the world; “Ursa Major,” was selected for the 60x60 UnTwelve mix in 2010 with performances in Chicago, Istanbul, Kansas City and Slippery Rock, Pennsylvania; the miniatures “Orion,” “Ursa Major,” “Ursa Minor,” and “Cancer” received premiere performances in New York City on the Composer’s Voice concert series. On the less short more romantic side, Voisey’s 10 minute opera, “Poppetjie” premiered at Carnegie Hall presented by the Remarkable Theater Brigade’s Opera Shorts. “Poppetjie” is a story about a little girl who projects her notions of marriage and relationships onto her doll and teddy bear. Rob Voisey’s romantic art songs “Dos Palabras” which are based on the work of Argentinean poet Alfonsina Storni. It is a duet commissioned by Agueda Pages and has been premiered by her in New York City, Bremen, Germany and Valencia, Spain. This song cycle has had several performances in New York City at Jan Hus Church at the Composer’s Voice Concert series; the Argentinean Consulate, and at Christ & St Stevens Church for the XL performance. “Dos Palabras” has also been performed in Barcelona, Spain. Robert Voisey was also interviewed by the Los Angeles Times for its Sunday Entertainment Section, profiled on Some Assembly Required with Jon Nelson, No Extra Notes with Richard Zarou, Big Dance in London, Arts Electric at the Electronic Music Foundation, White Fungus Art Magazine by Tobias Fischer, Fly Global Music Culture’s web magazine, as well as being featured on the HEC-TV, St Louis, Cityscape NPR St. Louis Public Radio, Citywide on WNYU, Arts & Answers on WKCR, Afternoon New Music on WKCR, Kalvos & Damian's New Music Baazaar, Noizepunk & Das Krooner show and Martian Gardens on WMUA. 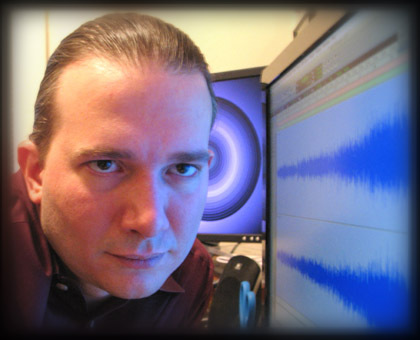 His work routinely receives airplay on WKCR's “Arts & Answers” and “Art Waves” radio programs in New York City as well as Max Shea's “Martian Gardens” on WMUA Amherst, Massachusetts. He has been invited to speak about his own music, the 60x60 project, and the promotion of new music at the Stony Brook University, Concordia University, Duquesne University , University of Missouri-Kansas City, University of Central Florida, University of California at Fresno. 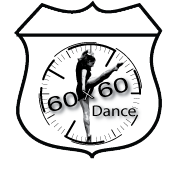 He has also presented and introduced the 60x60 project to audiences all over the world including: Stratford Circus (London, United Kingdom) World Financial Center Winter Garden Atrium (New York, New York), Sheldon Concert Hall (St. Louis, Missouri), Music Gallery (Toronto, Canada), Mills College (Oakland, California), the University of Central Florida (Orlando, Florida), Electronic Music Midwest festival (Kansas City, Kansas and Romeoville, Illinois), Adelphi University (Long Island, New York), A*DEvantgarde festival (Munich, Germany), Goldsmiths College (London, England), the Amadeus center (London, England), Oberlin Conservatory of Music (Oberlin, Ohio), State University of New York at Albany (Albany, New York), Lille Conservatory (Lille, France), University of Hartford, (West Hartford, Connecticut), William Paterson University (Wayne, New Jersey), CalArts (Valencia, California), Harbor College (Los Angeles, California), International Electroacoustic Festival (Brooklyn, New York), and Collective: Unconscious (New York).